Last week the Utrecht Young Academy (UYA)’s selection committee finished the application and selection procedure for the newest generation UYA members. It was then that Nose member Jasper de Groot heard that he is also part of this years group of new UYA members. UYA is a select group of enthusiastic and ambitious young academics at Utrecht University. Established in March 2016 with 24 founding members, the UYA provides a platform for exchanging critical perspectives on academia, policy, and society in Utrecht and beyond. Since its establishment, the UYA and its members have engaged with both the university and societal partners on interdisciplinary research and teaching, internationalisation and diversity, the organisation of science/science policy, and connecting science and society. The UYA currently houses many project groups, set up by the members, that focus on both these and other topics related to academia and society. Membership is for a total period of 5 years; each year approximately 8 new members will be selected until the number of members stabilises at around 40. This year, eligible candidates (0-8 years after completing their PhD) could nominate themselves and directly apply for an UYA membership. Next year, new candidates can only be nominated by the deans of Utrecht University and program directors of Utrecht University’s strategic research themes. 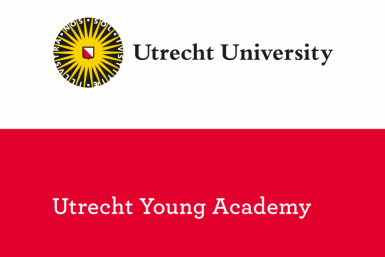 To learn more about UYA, visit the Utrecht Young Academy website. Jasper told NOSE that he will continue to put olfaction on the map, and that through this new prestigious position, he will be able to do so even better!